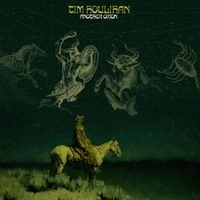 Tim Houlihan has a voice made for country music and a grasp of a broad range of Americana styles. If he wasn’t a veteran of the scene this would sound like a perfect calling card for Nashville. ‘I Get Lonesome Too’ is the type of song that would be an enormous hit if it reached the right artist and featured in a film or on TV. ‘Send Me Back To You’ puts pedal to metal and Houlihan sounds uncannily like Billy Joel belting out a country rocker. The title track gets a little bit experimental (within limits) with the burble of electronics before hushed acoustics bring on the big ballad. Houlihan does everything without affectation, with enthusiasm and skill; it’s almost enough to sweep the listener away. Almost. ‘Beneath the Surface of the Well’ is an unwelcome diversion into country blues that undoes a lot of the good work. Then again, ‘Some Kind of Mystery’ goes all Paisley Underground and I’m back on-board. The second half of the record continues with its genre hopping – ‘Going to the Country’ is what might pass as cutting edge in Nashville, then ‘What’s Gonna Happen to Me’ is an approximation of College Rock, then he goes and spoils it all by playing something like ‘Somebody Talk to Jesus’ which again retreats into the comfort of the blues and cliché. The closer ‘Is it Ever OK’ is back on firmer enjoyable sentimental AOR territory. In patches Houlihan manages to convince, and at other times he slips all too easily into genre potholes.